After I learned that my spice cabinet had radiation lurking in it (Read Article Here), I started cleaning out my spices a few at a time. I did my research and found the Simply Organic brand. 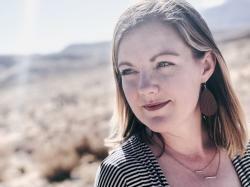 What I love about these spices, aside from not being irradiated, is that they are free of MSG, GMO’s, aspartame, high fructose corn syrup and many other harmful ingredients found in conventional spices and seasonings. Many people do not understand that MSG is hidden in many forms under different names, such as torula yeast, yeast extract, glutamic acid, and many others (Click here for a complete list). It has been continuously linked to obesity in many studies and is very harmful to those allergic to it. Simply Organic has a HUGE variety of seasoning products from chili packets, salad dressing mixes, pasta sauce packets, grilling seasonings, and flavor and extracts, as well as their regular spices. Started in 2001, they are part of the Frontier Co-Op. Frontier co-op has been in business since 1976 and started as a two-person operation in Eastern Iowa. All the spices I have tried are just amazing. I love that the bigger bottles come in glass containers, which can be re-purposed in numerous ways. When you open the container, you can immediately smell the difference. They also offer smaller containers that come in plastic containers. 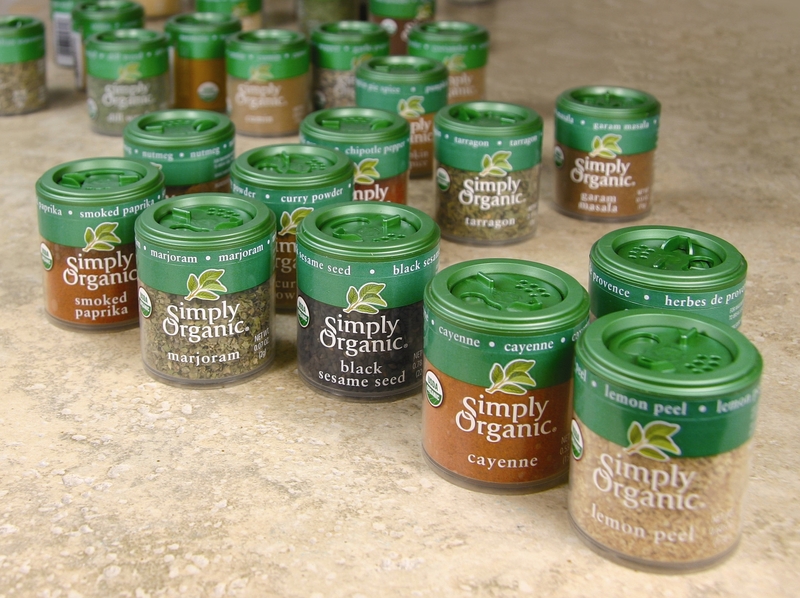 Frontier Co-op also offers organic spices and seasonings. They also have the option to buy in bulk and are, therefore, cheaper. 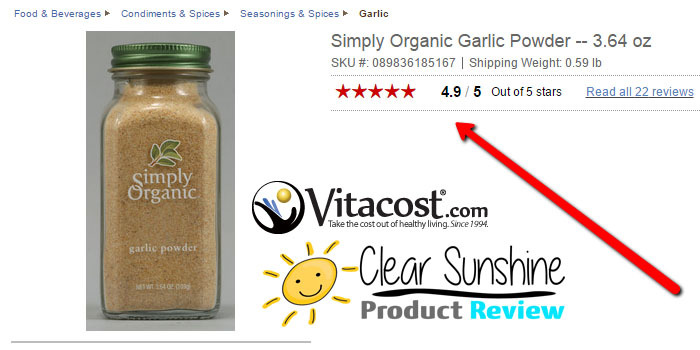 If you calculated the price of the Simply Organic Garlic powder at 1lb, you would run roughly $28. 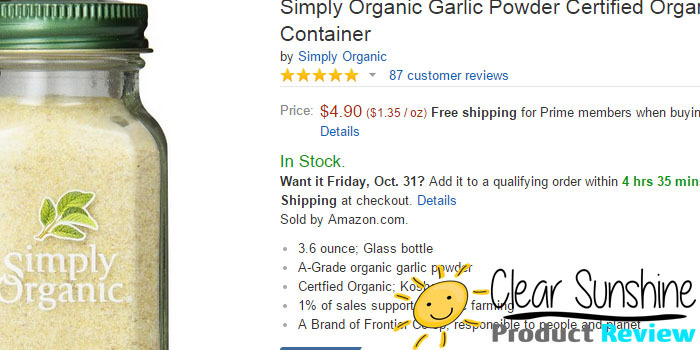 The bulk buy option of Frontier organic garlic powder runs about $19. Either way, you’re technically still supporting this great company! 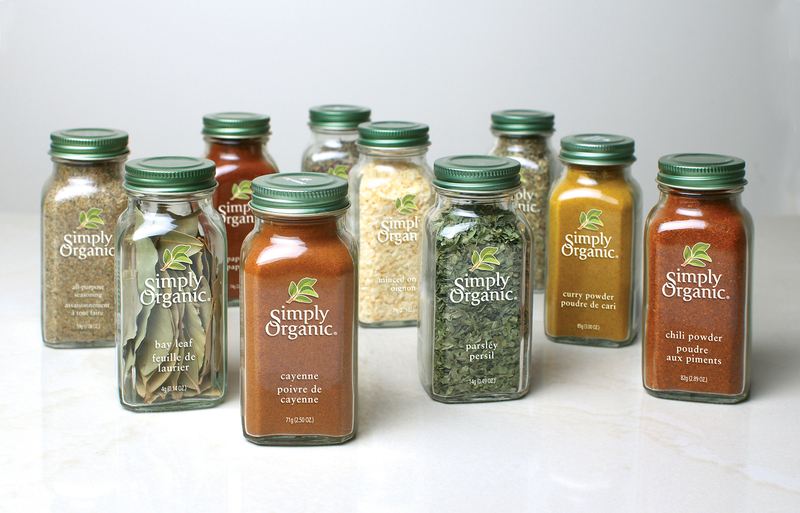 One pro to the Simply Organic Spices and Seasonings is that you can reuse the glass containers and refill with your bulk purchase spices from Frontier. One of our local stores sells the Frontier Co-op spices in self-help containers. So you can buy as much or as little as you need. This is great for recipes that you might need a spice that you wouldn’t normally use and only need a little. You aren’t stuck with a whole bottle and aren’t out more money. I have quite a few friends and family who have purchased these spices and love them. As you can see on Amazon and Vitacost.com, these spices are consistently receiving 5-star reviews. If you would like to purchase them in-store, click here to go to the Simply Organic site and find a store near you! Be sure to scroll to the bottom of their page where they offer coupons!! I know my local stores don’t have a huge selection, so I like to order online. I usually go to through Vitacost.com (check them out HERE for a $10 off coupon on a $30 purchase)! You can also find them on Amazon.com. Previous Post It’s Not Just a Kiss!